Learn about CouchDB database software for businesses. Includes info on CouchDB, free trials, pricing, customer reviews, and FAQs. 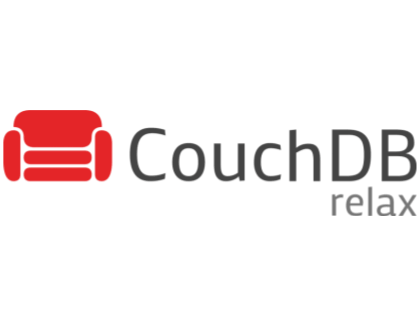 CouchDB is a free database software created by Apache. With this software, users can safely store their data on their own servers, or with any cloud provider. Couch DB offers HTTP protocol and JSON data format, a clustered database, and a single-node database. Couch DB is an open-source database software. Therefore, Couch DB does not provide pricing on their website. To download the free software, visit couchdb.apache.org and click 'download' in the main homepage banner. Pros: Powerful tool that is relatively easy to pick up. Bottomline: Very powerful tool once you learn how to navigate it. Works better on a small scale. 401 Edgewater Place, Suite 600, Wakefield, MA 01880U.S.A. Is there a CouchDB free trial? No, CouchDB does not offer a free trial. The software is free to download at couchdb.apache.org. What are some CouchDB alternatives? Where can I find the CouchDB login? CouchDB does not have a login option. Very useful when Couch runs on lean device like PI, and for many other cases. I love Couchdb because it's a database that talks HTTP/REST. Despite drawbacks, I still think CouchDB has a lot of potential to revolutionize the way people write webapps. I certainly still plan to use it for quick hacking, and Couch’s append-only design means I’ll never have to worry about my data getting corrupted. The experience we had with CouchDB was pretty positive. It didn't enforce schemas, so it was easy to change schemas in our code without worrying about a data migration. Overall, it was relatively intuitive to use.